How effective are Australian strategies to counter violent extremism? 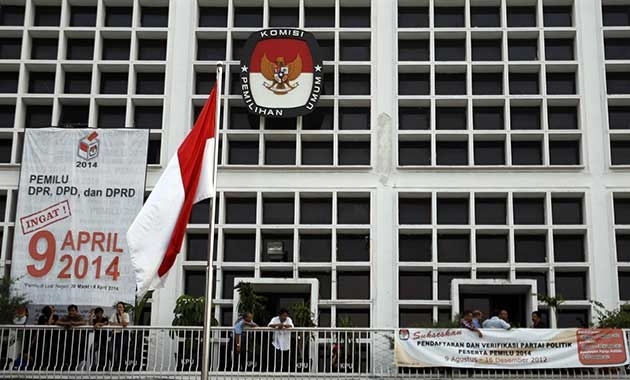 Indonesia, the world’s third largest democracy with 187 million voters including 67 million first-time voters, voted last Wednesday July 12 for their next President. By the time the exit-polls had been counted, it felt like the nation exhaled momentarily. But that relief has been short-lived. Although the official results of Indonesia’s presidential election yesterday will not be known until July 22, both candidates, Joko Widodo and Prabowo Subianto, now have claimed victory based on exit polling and quick counts. As a result, political tensions in Jakarta are rising, and Indonesians are growing increasingly anxious as to what this means for Indonesia’s democracy. Indonesian president Susilo Bambang Yudhoyono today urged the election chief to ensure a transparent vote count following the disputed presidential poll, after both sides raised fears the other may party may tamper with the ballots. And this is not without reason. Indonesia is one of the world’s most graft-ridden countries, and the country’s political elite is part of a very intertwined network of power and privilidge. Even though Indonesia made the transition from dictatorship to direct presidential elections a decade ago after the fall of dictator Suharto in 1998, Indonesia is still ranked 114th among 177 on a 2013 Transparency International Survey, with the nation’s judiciary, police and parliament ranked among the least trustworthy institutions. Although the election was violence-free, a result perceived as questionable by either side still risks major public protests. Speaking ahead of the election, the army chief of staff General Budiman had already said the potential for conflict between supporters of Prabowo and Jokowi was “high,” as the Jakarta Post reported on its website July 7. This is a particular risk given the very vast differences between the two candidates and their respective supporters: Jokowi is the “man of the people” candidate, from humble beginnings and without ties to the political elite, whilst Prabowo is a former military general and the former son-in-law of Suharto alleged to have ordered the abduction of democracy activists before the Suharto’s downfall. At a rally for Gaza yesterday Prabowo told journalists “there are reports that some election boxes have been stolen, our witnesses are being intimidated”. In making statements like these, it appears the former military man will not go quietly. The quick counts give Jokowi a lead of around 8 million votes, which is a margin of about 4 percentage points. And it is this slim margin that has given rise to growing tension. Fears of tension and potential violence by analysts are not just about the close margin, but more about what the some candidate’s supporters are capable of, in particular, Prabowo. Some analysts have expressed concern that with his history, his ties to military, citizen militia groups, and extensive and powerful networks across the country that he might try to bully the election commission or engage in violent protest. But despite all the public discussion and debate about the potential for unrest, many Indonesians I have spoken to over the past week, from street merchants to members of Indonesia’s parliament, are quietly optimistic. This is in contrast to the many foreign observers. For ordinary Indonesians, perhaps that comes with the experience of watching the country go through so much turmoil and change over the past 16 years. As one Indonesian who was active in student protests during the Suharto era told me, “we Indonesians believe that, no matter what happens and no matter who wins, we could never slip back into something resembling the Suharto era. It could never happen. There are too many people watching, we are all watching. And we all know that Indonesia has come too far for anything like that to happen. Foreign observers should not underestimate us. We would never sit back and watch our country deteriorate”. Whilst alert to the all possibilities of what could happen over the next two weeks, it appears many Indonesians hope that the candidates and their supporters will accept and honour the results of the election, and that when the final results are revealed on July 22, the wheels of Indonesian democracy will keep turning.